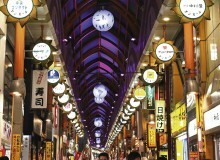 Ai Road is lined with tasteful shops and pretty lanterns whose theme changes according to the season. Here, traditional generations-old shops share perimeters with new kids on the block. This is the spot to pick up those daily goods and gifts that are still sold in specialty shops by people who know what they’re doing. “Aji ga aru,” you might say: this place has flavor. 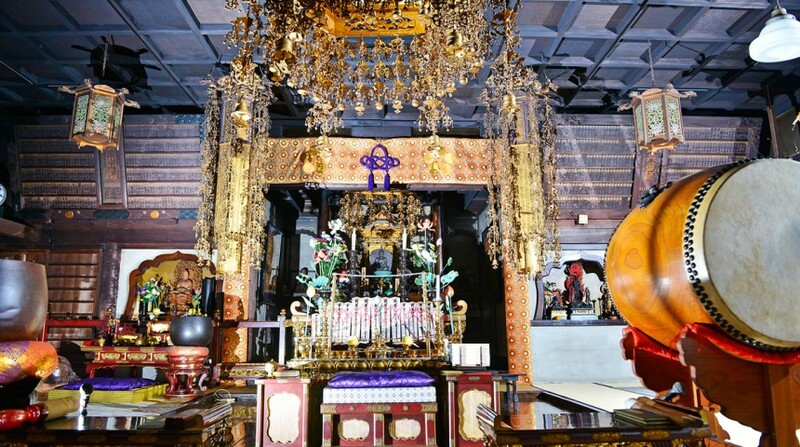 The Arai Yakushi Baishoin temple is an anchor of the community as a place to pray and a place to gather (it’s especially busy during New Year, Setsubun and hanami season). There’s a well tap here where neighborhood denizens come to freely fill up water bottles with spring water to take home and use for tea and cooking. Kindergarteners troop through the courtyard on their daily walk, and older folks stop to chat near the incense urn after paying their respects at the altar, a small graveyard holding ancestors nearby. As the story goes, during the Edo era, one of the Tokugawa shoguns had a daughter with failing vision. She came to this temple to pray, and soon after was miraculously healed. Today, the temple is known for healing poor eyesight, and people come from far and wide to pray to the medicine Buddha, known as Yakushi Nyorai, who is protected by 12 fierce and colorful guards hewn from the same tree. 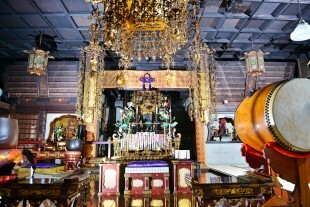 Believers also come to pick up omamori, talismans meant to heal bad eyes and more. Legend says that one of the reasons nearby Ai Road was so named was because of the “eye” homophone. 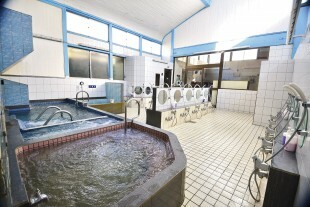 Onsen in the middle of Nakano? Casual visitors may not know it, but Nakano is built atop a natural spring, and this bathhouse—the only one in Nakano to tap the spring—draws on the restorative waters to provide an onsen experience right in the middle of the city! This Showa-era establishment opened in 1951, and Mr. Kobayashi is the second-generation owner. He says his onsen is frequented by students from the surrounding universities and young salaried workers, but he welcomes everyone to come and use the baths; kids are welcome, as are tattooed people and international folks. Open from 4pm-1:30am, the bathhouse also boasts a sauna and comic book reading room. Relax, refresh, revitalize. At Sakamoto Miso, tubs of the fermented paste line the walls and march down the middle of the shop, which has been standing here since the 1950s. 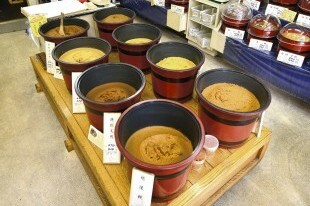 Here you can find over 40 varieties of miso from all over Japan. Whether it’s soybean-, rice- or wheat-based, red, white or mixed, smooth or chunky, the shop owners, who have been certified as “miso sommeliers,” can help you find the perfect miso for your taste and occasion. Missing a flavor from another prefecture? Want tips on a lighter, fuller or differently textured miso? This is the place. And if you don’t know what to get, try the tasty awase-miso—the shop’s own miso blend is its top seller. Kanekoen knows tea. 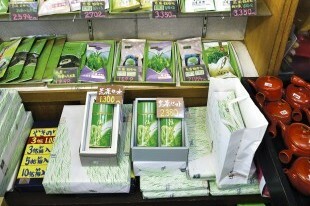 This family-run tea company now has 58 shops, mostly in the Kanto area, each run by a member of the Ichikawa clan. 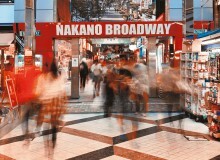 The Nakano shop has been on Ai Road since 1935, and the current Mr. Ichikawa is a the second-generation manager. Its tea, which is entirely domestically grown, comes mostly from Shizuoka and Kyushu, including its own nearly 400-year-old tea plantation. The shop’s own blend, called aracha, is its biggest seller—a boldly flavored green tea with an underlying sweetness. The shop also has tea accoutrements such as teapots and canisters, and the knowledgeable proprietors can elucidate tea characteristics and brewing tips. 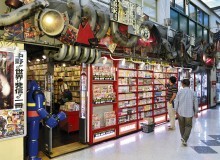 1-32-3 Arai, Nakano-ku, Tokyo. Tel: 03-3386-4426. The newly opened Waka restaurant looks like a stylish cafe—and it is—but its specialty is making sanuki udon by day, turning into a sashimi and grilled-food izakaya by night (the udon is still available, of course). Mr. Omori, who grew up eating sanuki udon when he visited his grandmother in Kagawa, is careful to use ingredients and flavors from the region; the noodles are made on-site from flour imported from Kagawa prefecture, while Shikoku ocean products, such as kombu and iriko, are also used to flavor the dishes. Try the shop’s best seller: kakiage udon, a piping-hot bowl of chewy noodles swimming in flavorful dashi, with a crispy heap of mixed tempura to put on top. Itadakimasu! 1-8-7 Arai, Nakano-ku, Tokyo. Tel: 03-6312-6232.